Big White, Sun Peaks, Silver Star Create Programs For Seniors. 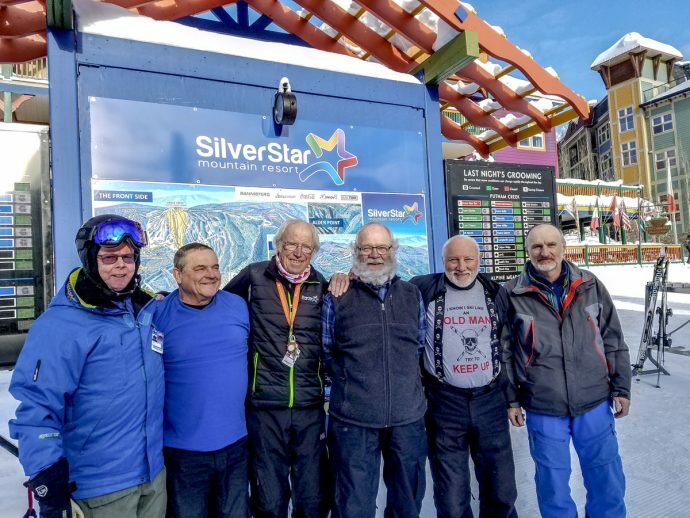 A few of Silver Star Mountain’s many senior skiers. All in fantastic shape, all very good skiers. 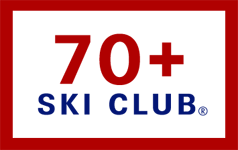 Ok, one thing most senior skiers—those folks in their 60s, 70s, 80s and even beyond— do a lot is ski. 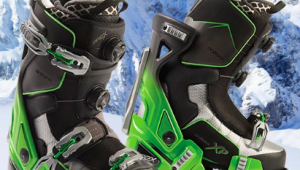 They love snow, they love winter, they love all things ski. 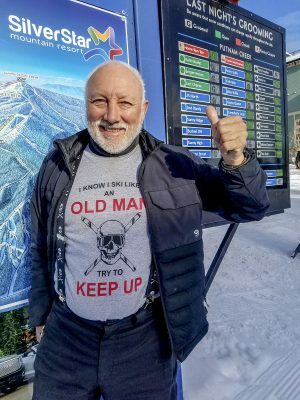 In fact, nearly two thirds of all season passes bought at Silver Star Mountain in Canada’s British Columbia go to seniors—32 percent to “regular” seniors 65-80, and another 30 percent to the “Young @ Heart” skiers who are 81+. The other commonality: They’re fit. They exercise regularly. They never really were couch potatoes. And most of them have been skiing since they learned to walk. Curious, I corralled a bunch of them at Silver Star to ask some questions. “Um, where’s the guy you said is 83?” I asked. Sure enough, Mike had decided the lure of back country powder overrode sitting to talk with somebody about senior skiers. 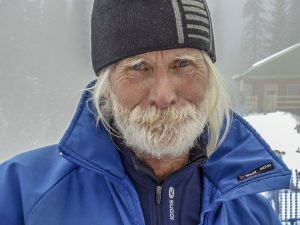 When you talk about senior skiers, whether it’s at Silver Star, a bit north at Sun Peaks or my regular Tuesday group outside Seattle, you’re not talking about somebody manning a bench in the lodge watching grandchildren. The group at Silver Star that morning seemed to be all ex–ski patrol, ex–instructors, ex– racers. And, well, not all of them were ex-. A couple showed up in their instructor jackets. And, yes, this group was virtually all guys. One of Silver Star’s veteran skiers. Credit: Ernie Sollid. But that’s just Silver Star. Over at Sun Peaks, the senior group is more a mixed bag. In fact, the husbands of the Polar Bears (all women) got so jealous they talked about forming their own guys only group, the Grizzlies. And there’s the Antiques, a mixed group of Kamloops local men and women who also ski at Sun Peaks and socialize together regularly. Here’s the point: The ski areas have bought into all of this and are creating events and special programs for seniors. Silver Star has a fun race called the Annual Over The Hill Downhill and actually includes training camps, qualifiers and, of course, the actual race, usually in February. The idea, said Chantelle Deacon of the area’s media relations, is to dress in your oldest, most archaic ski clothes and gear. There’s also a run called Over The Hill. And there’s a senior clinic called Master Academy aimed at folks 50+, a two-day clinic with skiers split into intermediate, advanced and expert. Plus, there’s Masters’ Monday, weekly co-ed programs January through March run by instructors but aimed more at fun skiing than lessons. Big White, also in British Columbia, has three separate Masters’ Weeks that echo ski weeks of yore and combine lessons in the morning with social events in evenings. Ok, there have been some concessions by these skiers. You think maybe a bit before you do something, you take fewer chances, someone else chipped in. “One of the things keeping a lot of us in the game is knee and hip replacements and at least one back fusion. Knees and hips are almost routine and Art has fused ankles,” someone else added. But that hasn’t stopped them. Ernie Sollid, 77, sent me a picture of his back Xray, the slightly terrifying one that shows lumbar 3+4+5 bolted together. He also sent along a screen shot of his stats for this Feb. 1, showing he hit 46 mph, skied a total of 25.5 miles with 22,145 vertical feet. All this over four hours. “I usually quit after lunch,” he added. But not everyone is held together with bolts and pins. Sigi White, 81, at Sun Peaks, whose idea of keeping in shape is back country touring because she says downhill skiing isn’t taxing enough, has managed to escape injury. “I ski anything on the mountain,” she said, adding “I’m not fond of bumps. I prefer powder. Yvette didn’t even see snow until she was 25. That’s because she grew up in snow free, frost free South Miami Beach. In fact, she says, “When I finally got to see frost for the first time at age 13, I thought it was mold all over the cars. (Some of us were more sheltered than others).” She finally got into skiing at age 30 and claims she has “probably the world’s most exhaustive collection of ‘dumb Florida gal discovers snow’ stories” in the world. That includes her first heli-ski trip when someone gently pointed out to her that maybe it was time to retire the novice ski angle. Yvette now lives in the Pacific Northwest with her husband, Bill Hirsch, 30 minutes from the nearest slopes and she skis at least once a week during the season. Her ski stories have taken her around the world, including India and several trips to South America. Thanks for the article–good to hear our northern neighbors aren’t just friendly, but respect their elders. How can I learn more about your weekly group? Bob, send me an email (my email address is below) and I’ll send you the name of the chap who leads it. It’s a good group. They meet 9am usually at Silver Fir chair at Snoqualmie on Tuesdays. I think the season ends this week but may have already ended. I’m not sure.